All purchases include pick up, drop off, email and phone support. Includes capsules, placenta print, and cord keepsake. Capture the unique fingerprint of your placenta on watercolor paper. Choose natural or any variety of colors. Choose a heart, infinity loop, or any other special way to keep the connection between you and baby forever. A small piece of placenta is fermented in alcohol and turned into liquid form. Used in times of trauma, transition, emotional distress, menstruation or menopause. Great for headaches, milk supply, cramps, insomnia, delayed cycle, muscle cramps, and reduced libido. The best part is this does not expire! The mother can even save it for menopause, daughter’s menstruation, and for teething, stress, and immune boost for baby. 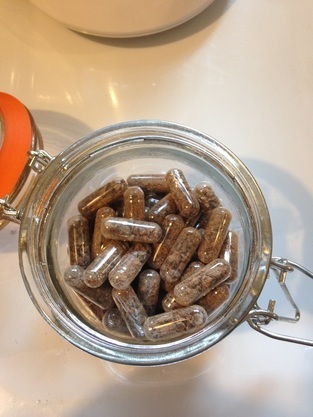 Some of the placenta powder is infused into a high quality salve base. Used for: Cesarean scars, perineal tears, itching, hemorrhoids, burns, eczema, sunburn, diaper rash, and as a general healing and skin-care salve for mother, baby, and family. Choose the most popular peanut butter banana, or berry, tropical, green, or even create your own. Using your dehydrated/powdered placenta. Choose between milk or dark chocolate. About 30 per batch. Made with placenta, breast milk, cremation ash, hair or teeth. Breast milk preservation and all other inclusion pieces are done all naturally with no additives and preserved in a high quality resign. The breast milk process can take between 6-8 weeks to preserve naturally, but this means that you are getting the rawest form of your breast milk. Special orders are at no additional charge as this line is in the process of developing. Talk to your placenta specialist about custom orders. Click here to request we get in touch with you! Or you can call or email for more information.